Millstatt, also known as Millstatt am See, is an Austrian commune located in the district of Spittal an der Drau, in the region of Carinthia. Milstatt has about 3500 inhabitants spread over 57 square kilometers. Located on the southern slope of the Gurktal Alps, the city lies on the edge of the lake. The place seems to have existed since the Napoleonic, but the existence of the city dates back to the 5th century BC, with the installation of the Celts then the Roman conquest. Today, Millstatt is appraised for its spas and its spa activity. Lake Millstätter, at the edge of which is the town of Millstätt, has a depth of 140 meters and a length of 12 kilometers. It covers a surface slightly more than 13 square kilometers. The lake was formed 20,000 years ago when part of the Drava Glacier melted. It is the second most popular lake in the region, and is particularly popular with families with children, especially because of the large number of activities that can be practiced there. It is of course possible to swim in the lake, do badminton or volleyball on the beach, or just lie down to enjoy the sun. Nevertheless, an activity for all children is the treasure hunt: the children embark on the Black Pearl, the famous boat of Captain Barbarossa, before rushing into the magic forest and to share a barbecue. The material to make their own pirate eyewear and eye-shield. For more information on the treasure hunt or other activities, contact the Infocenter Millstätter See at 0043 4766-3700-0, or go to the school in Seeboden, Thomas-Morgenstern-Platz 1. Burg Sommeregg is located in Seeboden, just minutes from Millstatt. The Burg Sommeregg is a castle dating from the 12th century at the latest, since it is mentioned in a document of 1187 found in the abbey of Neustift. It belonged to the noble family of Ortenburg until 1418, before passing under the control of the Counts of Celje. The castle was then partially destroyed by the Hungarian forces of King Matthias Corvinus during his campaign against the Austrian Emperor FrÃ © dÃ © rick III of Habsburg. Today, one can visit the well preserved remains of Burg Sommerberg and eat at the restaurant it houses. There is also a knightly fighting performance: the narrator speaks German, but the story is not hard to understand. The knights engage in a tournament and fight on horseback: they perform different stunts at the foot of the castle. The hotel is also home to a medieval medical and torture market, the largest in Europe, with more than 70 different reenactments. The performances of witches of the time are told: Amnesty International has also set up special exhibitions. The castle is located in SchloÃŸau 7. 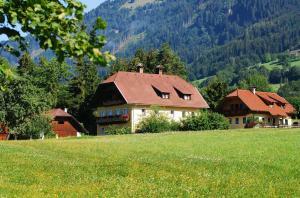 The Millstatt Stift is an old monastery, built in 1070 by the less blessed. It is one of the most important Romanesque style monuments in the region. The Knights of Saint George succeeded the monks in 1460, followed by the Jesuits in 1598. The dissolution of the abbey was decided in 1773 by Emperor Joseph II, putting an end to its cultural and economic influence, and to its central place in the regional dynamism because of its numerous possessions in the surroundings. The least blessed established the legend that the monastery dates back to 780, at the time of Domitian, who erected the temple following the death of his son in a storm on Lake Millstatt. Domitian then decided to convert, had the first church erected on the bank, at the precise place where the body of his son had been found, then, with rage, threw the pagan statues at the bottom of the lake. If this fact is not established, it is possible that the monastery was already present from Charlemagne's time. Today, the Romanesque remains of the monastery are well preserved and still visible. The monastery is located at Stiftgasse 1, in Millstatt. 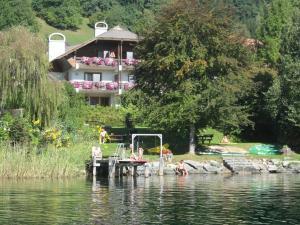 There are many other activities in Millstatt. Some are out of the ordinary, like the opportunity to dine in the middle of the lake. For 160 euros per person, couples can enjoy a dinner prepared by a chef in the middle of the Millstatter See: a motorboat brings the lovers on a wooden floating platform, where an aperitif ritif and an appetizer are served to them. Two hotels offer this type of service: the Kollers Hotel and the Forelle Hotel. This dinner can be part of a package at these establishments, if you stay there. For families, Garnet Canyon can be a nice excursion. Children will go on an adventure in the footsteps of miners in search of garnet. The stones found by the children will then be turned into jewels, by themselves or by a professional. The children will not be bored at Millstatt anyway, since different recreational parks are available, and well equipped: it is even possible to make cart or moto-cross. Finally, the most thrill-seekers will be able to tackle the DÃ¶briach wall at the Breitwand Climbing Park, 20 minutes from the city center. go canyoning in the Teuchl Gorge, or rafting (contact Club-Aktiv-Mölltal at the Nationalpark Outdoor-Center). Nordic walking is a sporting activity that is just starting to take off in France, but it is already very popular in the Germanic countries. Nordic walking comes from Scandinavia and is practiced with sticks, thus allowing to mobilize more than 90% of the muscles: this proves to be more effective than a jogging. 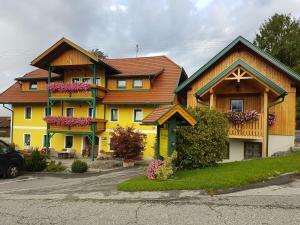 Different hotels provide the necessary equipment for their guests free of charge: this is an opportunity to enjoy a new and healthy activity while discovering the Austrian nature around Lake. The reception of the hotel or the tourist office will advise you on itineraries, according to your level and your desires. Aside from Nordic walking, which can accommodate most hiking trails, many other routes are available. Circular paths from 1 to 3 hours around the lake exist, offering the opportunity for a pleasant and tiring family walk. Other more sporty circuits take you to the mountains, crossing magnificent panoramas and offering different exceptional views. More demanding paths can take you to different peaks of the region. For this type of hike, it is important to bring an appropriate equipment, comfortable shoes and sufficient water. Above Lake Millstätter is a plateau with an 18-hole golf course. From here, you can practice this gentleman's activity while enjoying, wherever you are, an exceptional view of the waters of the lake below, and on the Nockmountains. The first pitch of 9 holes is dotted with hills and therefore slightly physical. The second, on the other hand, is on flat ground, with the mountains in the background. For beginners, it is possible to learn golf during a class with Paul Thompson. 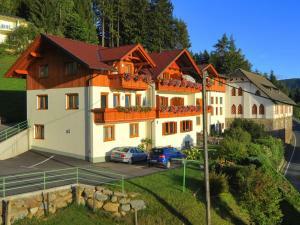 Different hotels of Millstatt have a partnership with the establishment, and the customers thus benefit from reductions. Getting to Millstatt By plane From Paris, you will need to fly to Ljubljana. The flight takes a little less than two hours and costs about 170 euros. Once at your destination you will take a shuttle to Kranj and from there a train to Rothenhurn for 2 hours. Once in Rothenhurn, you will have to travel the remaining 20 kilometers to Millstatt by car. Count 250 euros and 9 hours of travel in all. Other flights serve Munich, Venice or Bologna. By train From Paris, you will have to go to Paris East and take a ticket to Stuttgart. From Stuttgart you will take a second train to Spittal-Millstätersee, from where you will have to take a car to travel the rest of the way. Count 220 euros and 11 hours of travel. By car By car from Paris, you will have to go through Reims, Metz, Strasbourg, Stuttgart, Ulm, Augsburg, Munich, then to the south Rosenheim and Salzburg. From Salzburg, go south and go north to Bischoshofen, then St. Michael im Lungau, and continue to Millstatt. Count 170 euros and 12 hours of travel. Getting there By car The best, once there, is to have a car to be able to visit the surroundings and to be free of its movements. Cycling However, if you are sure to stay around the lake, the bike can be enough.